 Meaningful Use May Help Radiologists Offer Better Care - ONRAD, Inc.
AuntMinnie | It’s a well-known fact that the U.S. government did not develop “meaningful use” with radiologists in mind. However, the program may turn out to have strong benefits for imaging specialists that go beyond stimulus funding, according to a new article in the September issue of the Journal of the American College of Radiology. Meaningful use requirements mandate the inclusion of patient data such as allergies, medications, and immunizations into any healthcare IT software that is eligible for stimulus funding; this information is not currently found in radiology-based software such as PACS. This requirement may finally provide radiologists with the critical clinical information needed to provide the best possible patient care, according to the article by Dr. Murray Reicher, chairman of RIS/PACS vendor DR Systems, and co-authors (JACR, September 2011, Vol. 8:9, pp. 657-660). The group speculated that billing for radiology practices could be improved because reimbursement is often tied to the documentation of clinical indications. Such information can be obtained more readily with access to and the collection of more clinical data that will come with meaningful use adoption. This could help reduce ambiguities that are potentially costly to radiologists, such as “rule-out pneumonia” types of indications received from referring physicians. The authors pointed out that the U.S. Centers for Medicare and Medicaid Services’ (CMS) clinical objectives for using electronic health record (EHR) technology do not correlate with the Office of the National Coordinator for Health Information Technology’s (ONC) requirements for the technology. The ONC requirements mandate that radiologists purchase certified technology that they are exempted by CMS from utilizing. However, there’s an estimated $1.5 billion in potential stimulus bonus payments at stake for radiologists, and they face the prospect of being financially penalized if compliance with meaningful use of electronic records isn’t demonstrated by 2015. -Certified ambulatory EHR systems are not the same as certified inpatient EHR systems. A radiologist working in a hospital must use an ambulatory EHR system to qualify. -A radiologist using a certified ambulatory EHR system in a hospital must meaningfully document the ongoing use of this technology. -If a radiologist practices in multiple locations, the locations where he or she has at least 50% of patient encounters during a reporting period must be equipped with certified EHR technology. -Stimulus payments are made per radiologist. Each radiologist must have more than 50% of his or her own patient encounters at a site equipped with a certified EHR. If a practice has multiple imaging centers or provides its services at one or more hospitals, and not all have certified EHRs, this must be taken into consideration when scheduling radiologists to work at different locations. The first deadline for registration is October 1, 2012. If this date is missed, the maximum incentive drops from $44,000 over five years per physician to $39,000 over four years per physician, and it progressively decreases thereafter, the authors warned. And if radiologists haven’t begun compliance by October 1, 2015, they will start receiving fines instead.